Melbourne is known for museums, shopping, parks, zoos & aquariums, and nightlife. Your plan includes some of its best attractions: take in nature's colorful creations at Royal Botanic Gardens, meet the residents at Melbourne Zoo, browse the collection at State Library of Victoria, and explore the world behind art at National Gallery of Victoria. Mumbai, India to Melbourne is an approximately 17-hour flight. Due to the time zone difference, you'll lose 4 hours traveling from Mumbai to Melbourne. In May, Melbourne is cooler than Mumbai - with highs of 20°C and lows of 9°C. Wrap up your sightseeing on the 4th (Sat) to allow time to travel to Sydney. Sydney is known for nightlife, trails, beaches, parks, and museums. 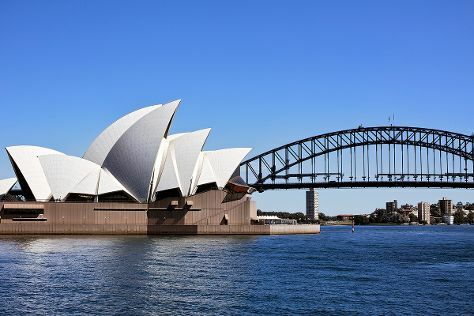 Your plan includes some of its best attractions: admire the striking features of Sydney Opera House, wander the streets of The Rocks, appreciate the history behind Mrs Macquarie's Chair, and admire the natural beauty at Royal Botanic Garden Sydney. For more things to do, maps, traveler tips, and more tourist information, read our Sydney trip planner . You can fly from Melbourne to Sydney in 3.5 hours. Alternatively, you can do a combination of shuttle and flight; or drive. Plan for somewhat warmer temperatures traveling from Melbourne in May, with highs in Sydney at 24°C and lows at 14°C. Finish up your sightseeing early on the 7th (Tue) so you can travel to Gold Coast. On the 8th (Wed), meet the residents at Sea World Theme Park. 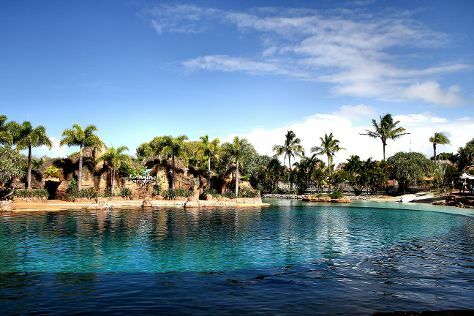 To find more things to do, maps, where to stay, and other tourist information, go to the Gold Coast trip itinerary app . Fly from Sydney to Gold Coast in 3.5 hours. Alternatively, you can do a combination of flight and train; or drive. Expect a daytime high around 27°C in May, and nighttime lows around 15°C. Wrap up your sightseeing on the 8th (Wed) to allow time to travel to Cairns. Start off your visit on the 9th (Thu): discover the deep blue sea with a scuba or snorkeling tour. To find maps, traveler tips, other places to visit, and tourist information, you can read our Cairns journey maker app . Traveling by flight from Gold Coast to Cairns takes 5.5 hours. Alternatively, you can do a combination of train and flight; or drive. Expect a bit warmer temperatures when traveling from Gold Coast in May; daily highs in Cairns reach 32°C and lows reach 24°C. Wrap up your sightseeing by early afternoon on the 10th (Fri) to allow enough time to travel back home.